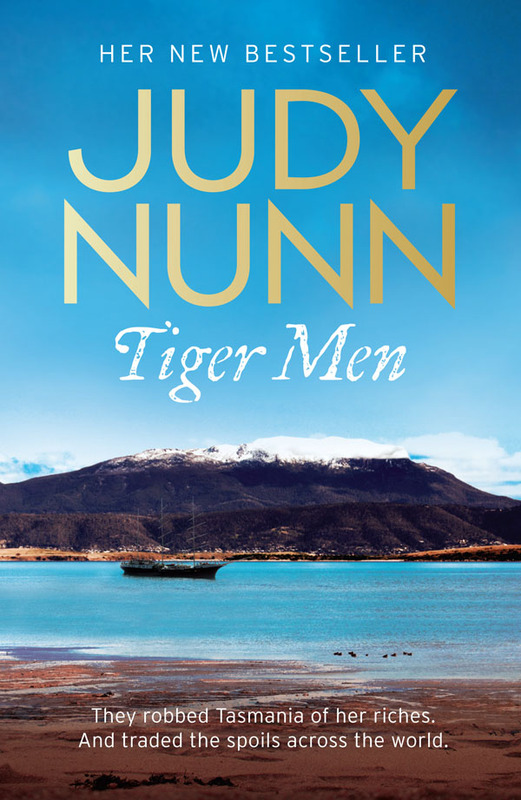 I just finished reading Tiger Men by Judy Nunn as part of the Australian Women Writers Challenge. 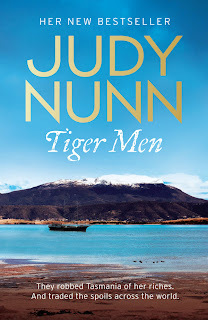 This is the first book by Judy Nunn that I've read, and I did enjoy it. I will be looking out for her other novels. The style reminds me a bit of Bryce Courtney, because it was a long saga without a real plot. It was just about life, and the reader really gets invested in characters. The tiger referred to in the title is not the typical big cat that is brought to mind. The tiger is the Tasmanian tiger, now extinct. Throughout the novel, Judy Nunn draws snippets from another book written nearly 100 years ago, about the systematic extermination of the Tasmanian tiger. It was heart-wrenching. In fact, the whole novel was quite educational. Tasmania lead Australia in many respects, including having electrical street lights installed. The last part of the novel was also a good overview of Australia's participation in World War I. The story starts by following three men; Silas Stanford, a wealthy Englishman; Mick O'Callaghan, an Irishman on the run; and Jefferson Powell, an idealistic American political prisoner. It is also the story of the strong, proud women who loved them. Then the story branches out and follows the three families for three or four generations. Ooh, thanks for the recommendation! I just recently moved to Australia and am now trying to gobble up as many novels by Australian authors as I can.